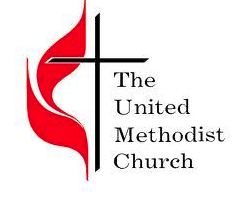 UMC Glossary: What is a United Methodist? The United Methodist Church is a global organization based on the mission of making new disciples of Jesus Christ for the foundation of the world. Over the next few weeks, in this space, I am going to discuss and define a number of keywords that may seem strange for people who grew up outside of the Methodist tradition. I mean, they will probably seem strange to most people. There is a lot of lingo in the church that is unique to Methodism. Some of it obfuscates things, but for the most part, the language has been used because of intentional thought and deliberation. The point of this post and the future ones in this series are not to give a seminary education. Some of this will be redundant to you and that is okay. The point is to have a common language as a church so that you know what it means to be a part of Berkeley United Methodist Church from the top to the bottom. The United Methodist Church was founded in 1968 after the merger of the Methodist-Episcopal Church and the Evangelical Brethren Church. We are coming up on the 50th anniversary of the creation of the church near the end of this month on April 23, 1968. The merger also marked the dissolution of the segregated Central Conferences so that Black and White Methodist church would be under the same administrative structure. The word ‘Methodist’ was a term of derision used against the Church of England priest and Oxford professor, John Wesley, in the 1730s. The Methodists were an ancient sect of doctors who didn’t think medicine needed to be restricted to a select few but could be taught to many. John Wesley prayed for a revival of the Holy Spirit across England and Wales and then it started to happen. Wesley wasn’t limited to a local parish, because he was an Oxford professor, and so he preached in the open to people who often didn’t make it to church on Sunday. He preached at coal mines at 5am before miners started work at 6 for 12 hour days 6 days a week. Wesley also emphasized small group discipleship and intentional growth in faith. Theologically, Wesleyans (the term used to describe the theological tradition influenced by Wesley) emphasize God’s grace in 4 ways: prevenient grace (the grace that comes before our awareness of God), justifying grace (the grace that forgives us and makes us right with God), sanctifying grace (the grace that makes us holier), and glorifying grace (the grace the allows us to be fully present with God after death). Wesley also preached prominently the doctrine of Christian perfection, which goes hand in hand with his view of the four graces. Christian perfection is a belief that God’s grace and power is greater than our sin. It is nothing to do with mistakes but a claim about what God can do with us. The last theological distinctive I will talk about today is the emphasis on free will over predestination. This is more of a technical theological argument between people of Calvinist traditions (Reformed Churches, presbyterian churches, etc.) and Wesleyans. I am happy to talk more about each of these in depth if anyone would like. I am leaving out a lot of things as well as some of the details about Wesleyan theology that I treasure most. Next week we will look at the Book of Discipline: what it is, where it is from, and why it matters today.